Of all the Type 38s made, one of the mot interesting is this Murphy Roadster. What makes the car so special is the fact that it it was the only Bugatti chassis sent to America to receive a custom body. The story of the Murphy Roadster oddly enough begins with the company American Miller. They raced their cars in the late twenties at events such as Indianapolis. Two of their cars raced in Europe and caught the attention of Ettiore Bugatti. So much so, that he traded Leon Durray, the owned of American Miller, a Type 35 and a bare Type 38 chassis for two Miller Speicals. As it would turn out, Bugatti was interested in the valvetrain of the Miller engine. He closely studied the dual overhead cam valvetrain. This valvetrain was later adopted on future Bugatti models under Miller trademark. Afterwards, Leon Durray, the recipient of the bare Type 38 chassis, then had the liberty of affixing any body to his Bugatti . He enlisted Murphy Body Co. of Pasadena to complete this task. Subtle details included a tapered windscreen and a chrome bumper. 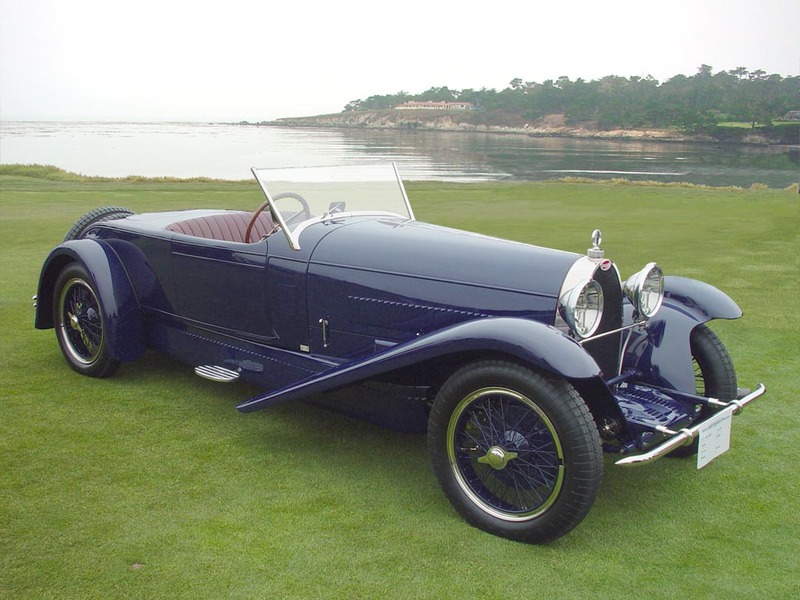 The Muphy Roadster is an important car as it is the only chassis to originally receive American coachwork. Presently, Jay Leno owns this car which is in Concours condition. It is seen above at the 2002 Pebble Beach Concours.